Tributes have been paid to a ’loving and caring’ community member who sadly died following a collision in Chelmsley Wood earlier this week. 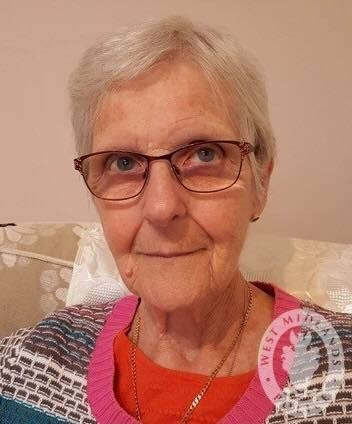 Jean Stilgoe suffered serious injuries in Chester Road, near the Moor End Avenue junction, at around 5.45pm on Tuesday (6 November). The 79-year-old pedestrian was involved in a collision with a Ford Focus and died in hospital a few hours later. In a statement her family said: “Jean was a loving, caring and dedicated wife, mother and grandmother. “She had lived in Chelmsley Wood for over 50 years and was involved in community projects ranging from being an Akela with the local cubs to most recently performing with the Three Trees Community Centre Ukulele Band and Choir. The driver of the Ford Focus remained at the scene and is helping officers with their enquiries. Anyone with information is asked to contact the Serious Collision Investigation Unit via email at FL_COLLISION_INVEST@west-midlands.pnn.police.uk, call 101 or Live Chat via WMP Online between 8am and midnight. Please quote log 2236 of 6/11/18.